So, I've been spending a certain amount of time recently playing World of Warcraft, particularly with my Night Elf priest character Luiniel. 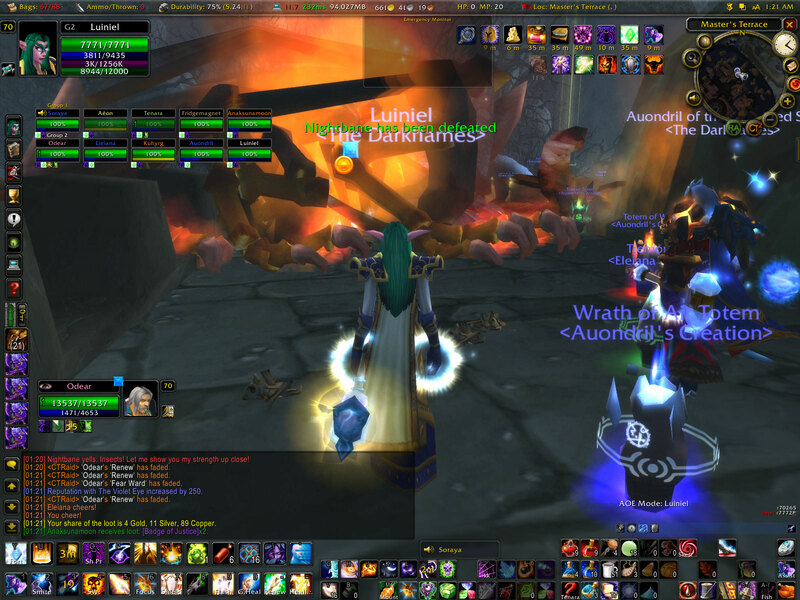 Well, after a certain amount of guild politics and a rather abortive Kara attempt we finally jumped guild to <The Darkflames> and almost immediately got on a Kara run, and also roped in for Mag's. Friday night we went to Kara. About half the group had previous Kara experience, although the MT hadn't MTed all the way through before, and had a fairly stressless run until the point where we detoured slightly to have a go at Nightbane who wiped us twice. 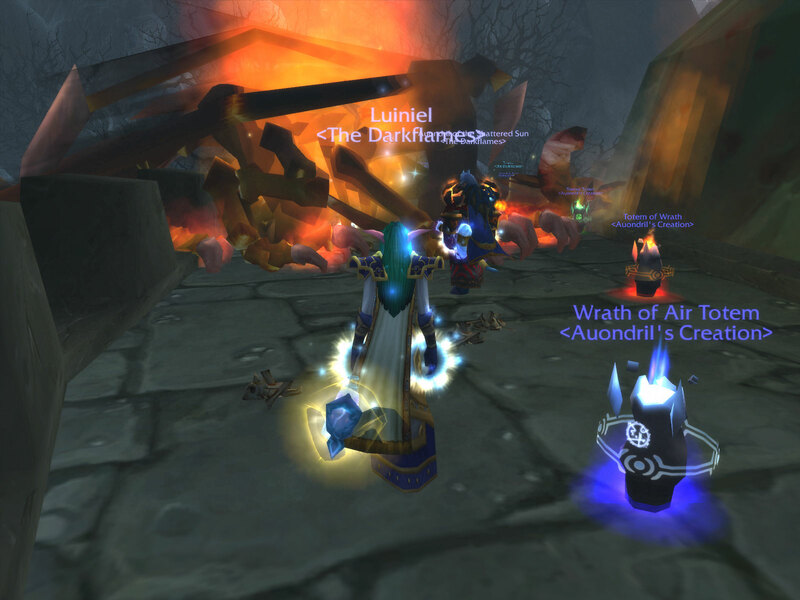 Giving that up for a bad job we regained our composure and resumed fairly stresslessness until Illhoof who we wiped on once but downed the second time. We called at that point, leaving happily and in my case with a Shard of the Virtuous. Saturday's Mag's went well (couple of wipes, but *shrug*) leaving us on a reasonable high before we went back to Kara on Sunday with a slightly different group and, apart from a partial-wipe on our way back in on respawns, went on until we wiped at 27% on Netherspite. At that point people were starting to flag and we swapped out our sleepy Warlock for a Warrior and "lets have another go at Netherspite and be happy we've done so well whatever happens." Second time round went so well that it was then "Oh, lets go have another pop at Nightbane on the way out" who also went down, making it a complete clear in two evenings. And also a screen cap taken a second earlier with UI features on for people interested in that kind of thing. O.T. Did you get the email about dinner at some point?